I am a PhD student at the Woodrow Wilson School of Public Policy and International Affairs at Princeton University. I am fascinated with coastal floods and how societies respond to them. 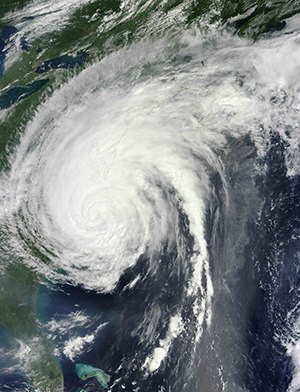 I use statistical and numerical modeling tools to examine the physical characteristics of coastal storms and how they may change in a warming world. I also study why societies choose whether or not to protect themselves before or after a damaging flood, particularly through employing public infrastructure protection measures, such as storm surge barriers. I examine the decision by a society to protect itself from sea level rise by considering existing theories from political science and public policy and by using comparisons from past experiences dealing with different types of natural hazards (such as earthquakes and hurricanes), as well as other public infrastructure projects. While the growing exposure of assets and populations to coastal floods has been extensively revealed through quantitative risk assessment over the past few decades, actual implementation of strategies to reduce flood risks have been modest. My career goals are 1) to help close this coastal flood protection "gap" by providing policy and politics lessons learned from analogous experiences with other efforts to reduce natural hazard risks and 2) to continue to produce and create tools based on the latest science to help stakeholders make decisions under evolving coastal flood risk. My hope is that these efforts will lead to planning that saves money and protects human lives. In addition to belonging to the Center for Policy Research on Energy and the Environment (C-PREE) at Princeton University, I am a member of the Rutgers Earth System Science & Policy Lab and Climate Impact Lab. I am a contributing author of American Climate Prospectus: Economic Risks in the United States. I previously was a research fellow at the National Oceanic and Atmospheric Administration’s (NOAA) Geophysical Fluid Dynamics Laboratory (GFDL). I also served as an air pollution engineer at both the California Air Resources Board and Ramboll. I received a BS in atmospheric science from UW-Madison and an MS in civil and environmental engineering from the University of California-Davis.